Having played an important part as FK Crvena Zvezda won the league in Serbia and Montenegro, goalkeeper Vladimir Stojković is eyeing more glory in Portugal with the U21s. Vladimir Stojković was destined to be a successful sportsman; athletic excellence flourishes on both sides of his family tree. His father was also a goalkeeper, his mother a handball player, and his younger brother is also continuing the goalkeeping tradition. "From the start, all anyone in my family talked about was sport. I had no choice – I had to play one. I am really happy because sport, and football in particular, is the best thing in the world," he told uefa.com. The best thing in the world keeps getting better for Stojković, who will captain the Serbo-Montenegrin team at this summer's UEFA European Under-21 Championship in Portugal in the absence of the suspended Danko Lazović. It is the latest accolade for a player who has already drawn comparisons with the great Vladimir Beara, who kept goal for FK Crvena Zvezda and represented Yugoslavia at three FIFA World Cups in the 1950s. "I don't believe I am as good as him, that kind of praise is too high for me," countered the 22-year-old, adding: "Although it's nice to hear." If Stojković remains impressively modest, it may be because genuine struggles preceded his rapid rise to the top. Now firmly established as the Crvena Zvezda No1, Stojković initially failed to break through from the youth set-up. He said: "I waited for a chance in the first team, but I saw that I was not going to get it. I decided the best option was to try and get regular football at a smaller club, [FK] Zemun. After only one full season Crvena Zvezda came for me again. It was an easy decision. Crvena Zvezda are my club, my heart beats for the red and white colours, so I returned." After starting the season behind the experienced Ivan Randjelović, Stojković seized the first chance that came his way, and was a fixture as the Belgrade club won the Serbo-Montenegrin championship - at one stage going over three months without conceding. Stojković was in the squad which reached the final of the 2004 UEFA Under-21 Championship, only to lose 3-0 to Italy. Nevertheless, the imposing 1.95m figure has nothing but happy memories. "I remember the tournament as one of the most glorious times in my life. In those days, everybody in my country was focused on us," he said. Two years ago, Stojković looked on from the bench, but now he is a staple in the side having played every match in qualifying. "I am very thankful towards our coach Dragomir Okuka because he believed in me even when I was not starting for my club. That made things a lot easier. Now I am captain, which is a great honour for me." If the young goalkeeper continues at this pace, it will be the first of many honours to come his way over the next decade. Tunisia 0-0 Serbia and Montenegro The visitors made a low-key start to their build-up to the 2006 finals by drawing in Tunis. After a long time in the shadows of the FIFA World Cup and UEFA European Championship, the UEFA European Under-21 Championship is ready to shine. 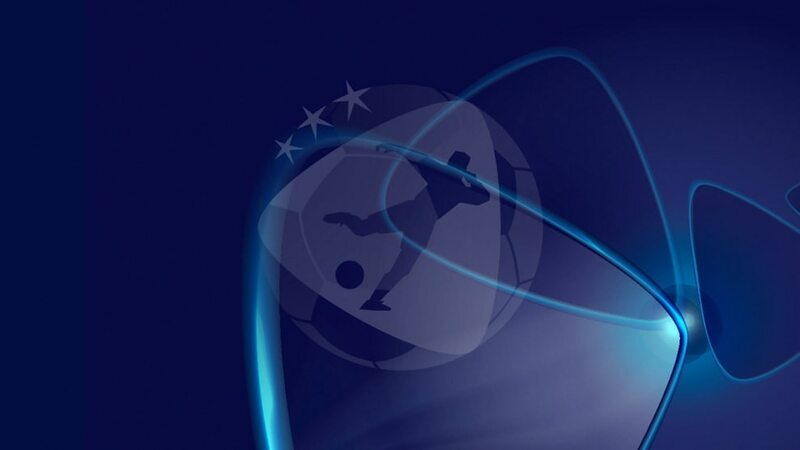 France and Turkey took the honours in UEFA's youth European Championships this year while holders Italy and Portugal led the way to the 2006 U21 finals. Despite his cool demeanour, Vladimir Stojković is desperate to grab the "amazing chance" to help Serbia and Montenegro reach the Under-21 final.